It’s the weekend so you have more than sixty seconds to help you with your music marketing. 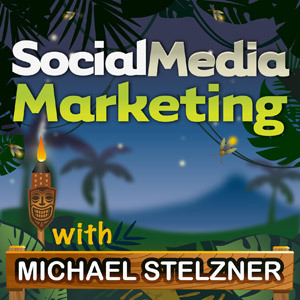 How about listening to an episode of the Social Media Marketing Podcast? This podcast from October has a great interview with Andrew & Pete, two creative content marketers. In this podcast you’ll learn about the Twitter algorithm, how to get engagement on Twitter, the benefit of using GIFs…here’s loads of stuff that us musicians can use to get better on the platform, its definately worth a listen.